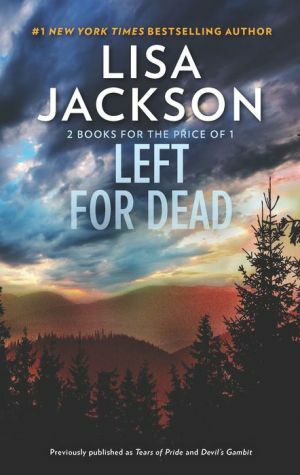 Indulge in two stories of danger and desire from #1 New York Times bestselling author Lisa Jackson! Sheila Lindstrom is reeling from the aftermath of the devastating tragedy that claimed the life of her father and all but destroyed the family’s winery. Without the insurance proceeds needed to rebuild, Sheila risks losing everything to Wilder Investments. When she confronts company president Noah Wilder, an undeniable attraction hits both of them, but will mistrust and deceit undermine this volatile union—or will love rise from the ashes? Tiffany Rhodes’s horse farm was in trouble long before she met Zane Sheridan, a breeder with a shady reputation. Yet she can’t help but feel relieved when Zane offers to buy her out. Though Tiffany doesn’t trust him, she’s drawn to him like a magnet. What does this mysterious man want from her…and can she contain her desire long enough to find out?